Honey bee queens mate with 12 males on average. By mating with a large number of males, queens avoid low brood viability. Additional benefits include increased disease resistance, health, colony homeostasis, survival and productivity. This study has shown that a focus on early-spring production has achieved good results, and similar investment in assuring drone numbers and quality later in the season should now be made. 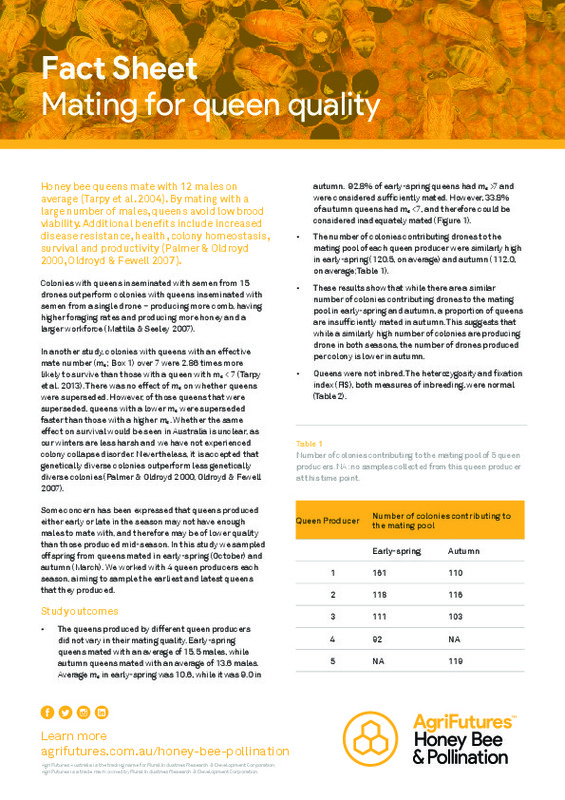 Fact sheet: Artificial insemination of honey bee queens - how many mates is enough?